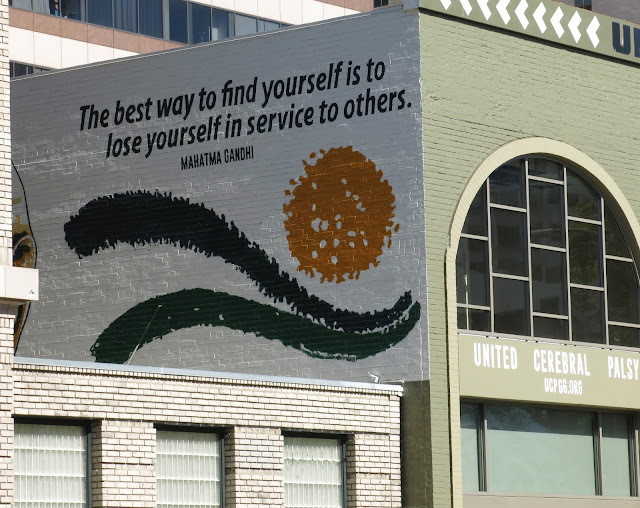 This inspiring quote can be found on a wall in downtown Oakland. Words to live by. This is my last mural post as host of Monday Mural. Next week tune into Sami's blog to meet your new host at https://sami-colourfulworld.blogspot.com. If you like murals or have a mural you'd like to post, this meme's for you; just follow the Linky steps below. You decide what constitutes a mural. Once you start looking you find them everywhere. Be sure to link back to this blog and visit your fellow posters. Looking forward to your mural finds posted this week. Google+ users, please configure your post so we all can leave a comment. Thanks. 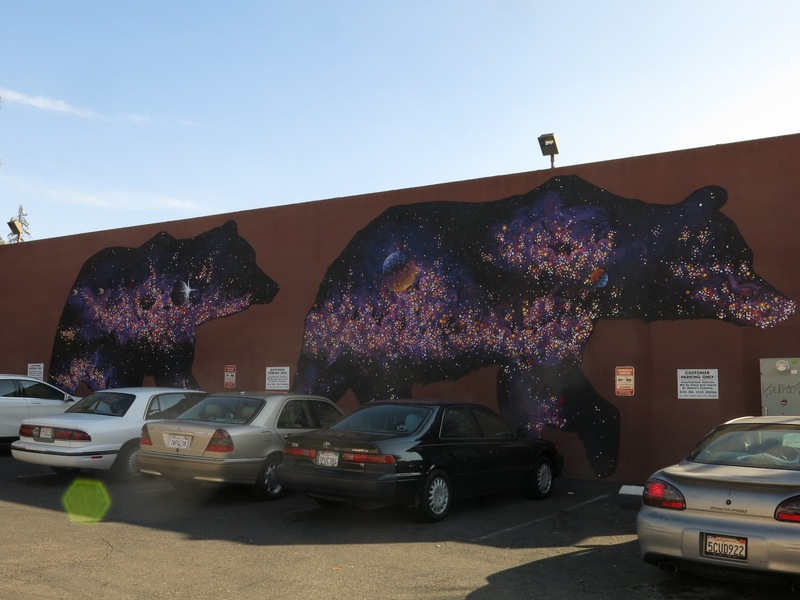 Found in the Laurel District, this is the companion piece to the starry bear posted a month ago. This one was a little tougher to photograph because it was in the shade. I was thinking the constellation stars would be found in each bear, but I'm not seeing it. I find this to be quite inspiring. By Roger Peet. Welcome to Monday Mural. If you like murals or have a mural you'd like to post, this meme's for you; just follow the Linky steps below. You decide what constitutes a mural. Once you start looking you find them everywhere. Be sure to link back to this blog and visit your fellow posters. Looking forward to your mural finds posted this week. Google+ users, please configure your post so we all can leave a comment. Thanks. Word Press is not allowing me to leave comments on that platform. Sorry. I'm pleased to report that Sami of https://sami-colourfulworld.blogspot.com has volunteered to take over the hosting of Monday Mural. The meme will transfer to her website at the beginning of February. Thank you, Sami. I found this while wandering around West Oakland. I don't care if the rock has a smiley face on it. 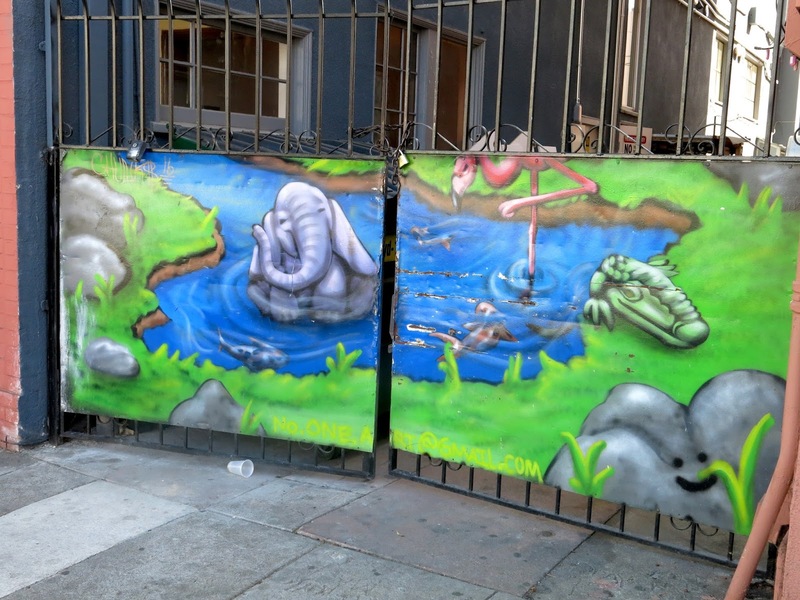 The side glance on the flamingo and the presence of the gator tell me "keep out." Of course the chain and padlock make the definitive statement. Welcome to Monday Mural. If you like murals or have a mural you'd like to post, this meme's for you; just follow the Linky steps below. 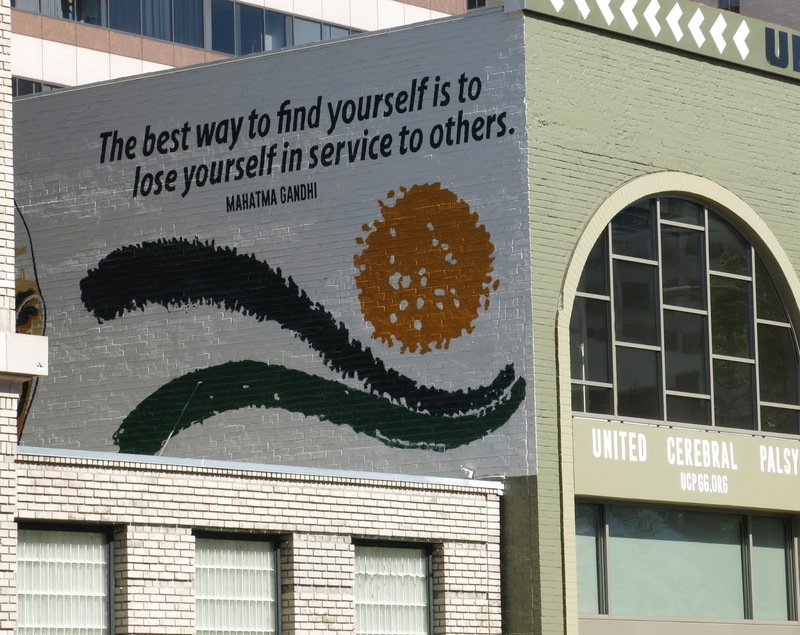 You decide what constitutes a mural. Once you start looking you find them everywhere. Be sure to link back to this blog and visit your fellow posters. Looking forward to your mural finds posted this week. Google+ users, please configure your post so we all can leave a comment. Thanks. For some reason, WordPress is keeping me from leaving comments on that platform. Sorry. I love the warm expression on this woman's face. The mural is found in West Oakland and was conceived and executed by several community groups including the Community Rejuvenation Project, which guides so many mural projects in Oakland. 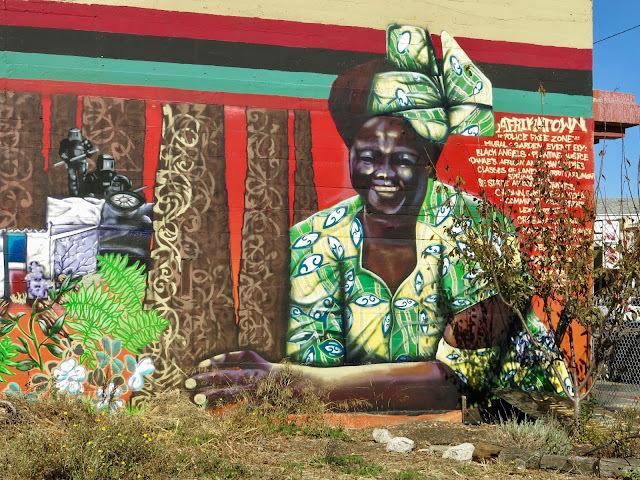 Afkrikatown is part of a larger mural whose theme is community empowerment and self determination.